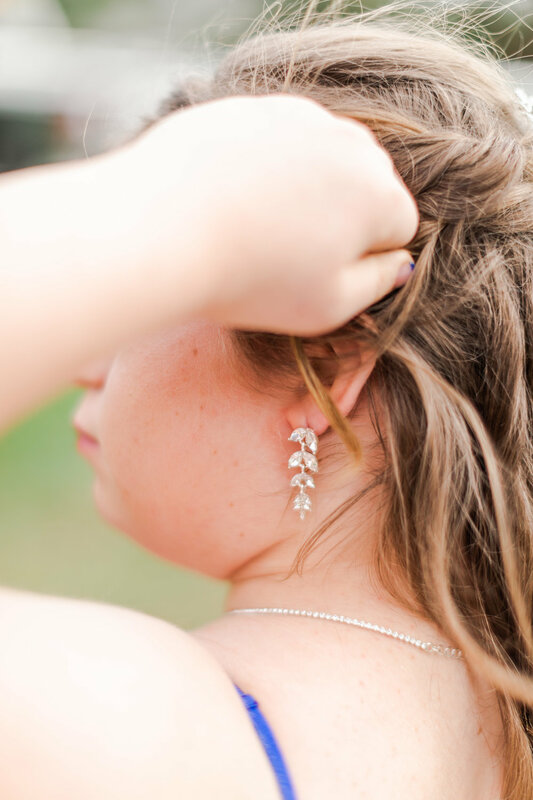 I had the immense joy of snapping some quick shots of our friend Aleah before she went to Tebow’s Night To Shine dance last Friday! 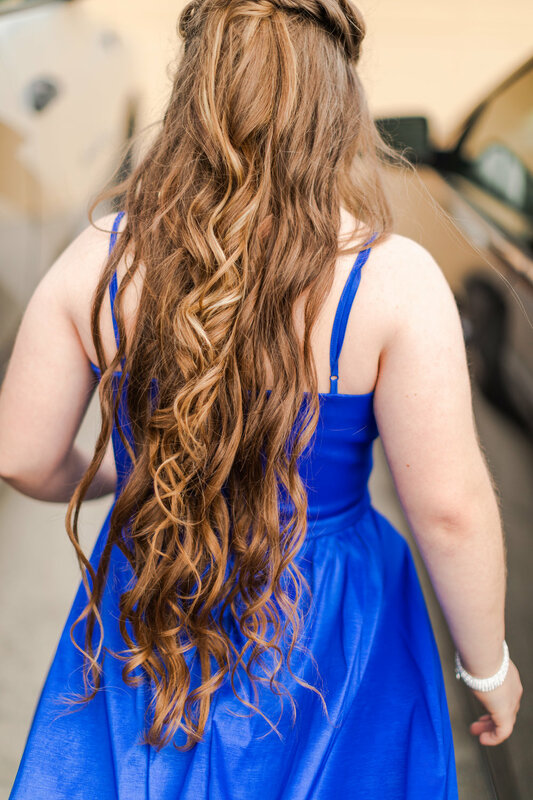 She looked radiant in her sapphire blue hi-lo gown with her gorgeous long hair curled into the most precious ringlets! And oh! The details! Her hair pin, necklace, nails, and bracelet were the PERFECT touch! She looked a vision! I believe she even scored a dance or two with a few dashing gentlemen that night! ;P Take a look at her pretty ensemble! This was the first shot I took and she struck this pose all by herself! LOL! OMG Look at that girl WORK IT! !